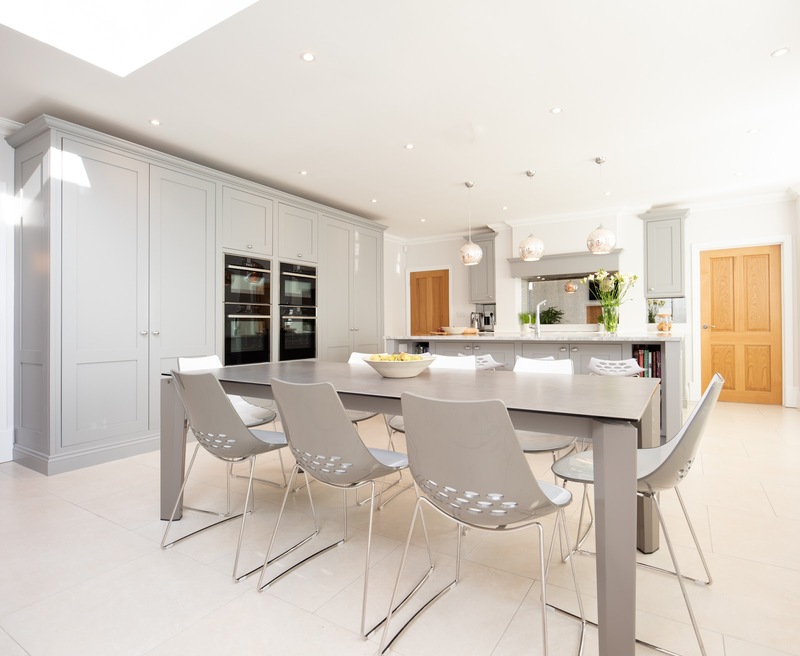 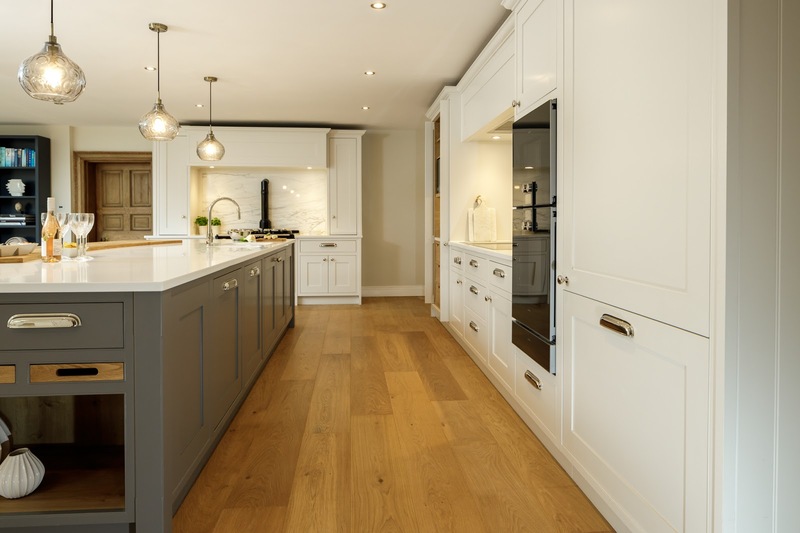 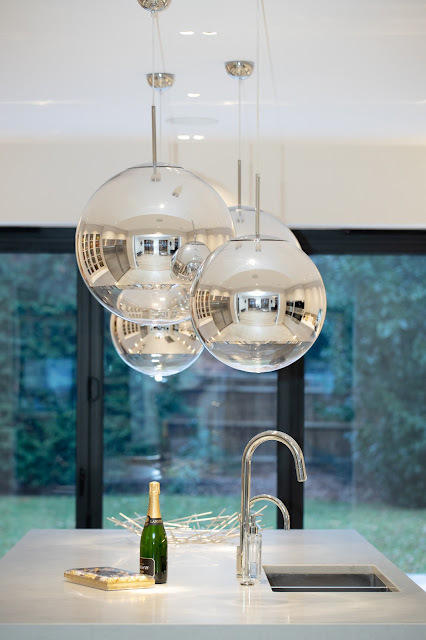 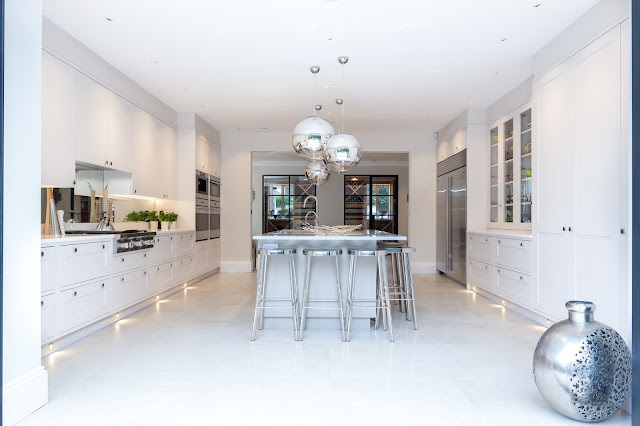 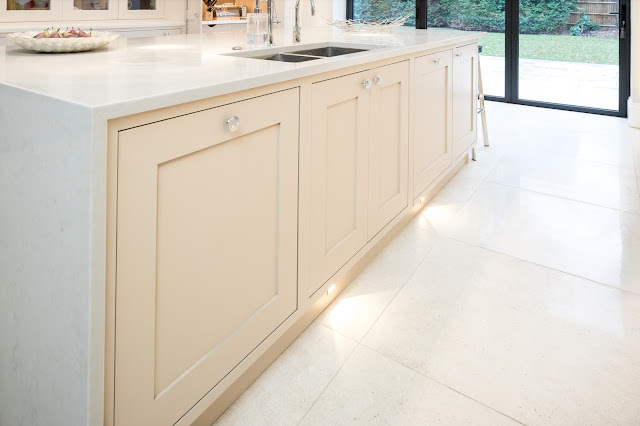 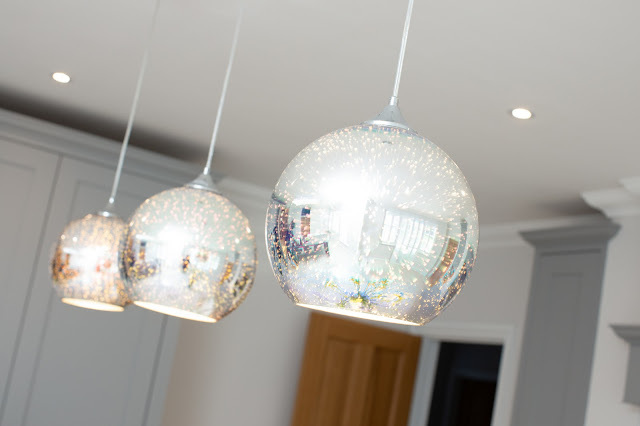 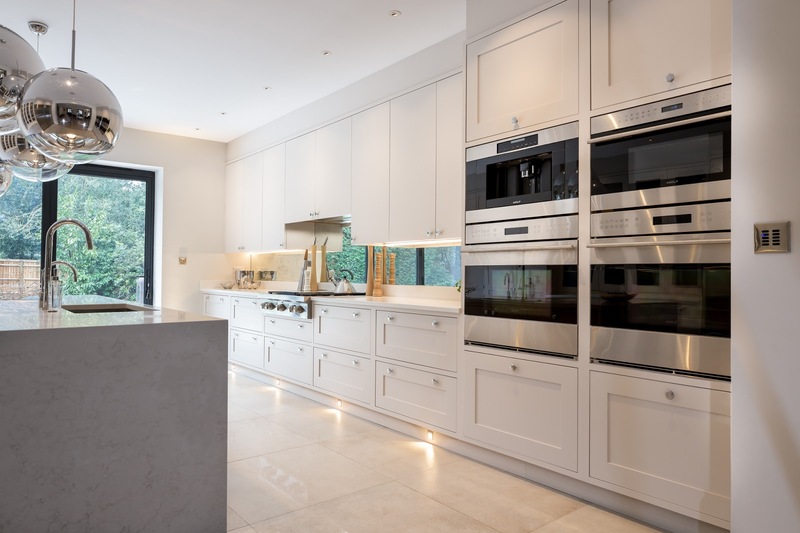 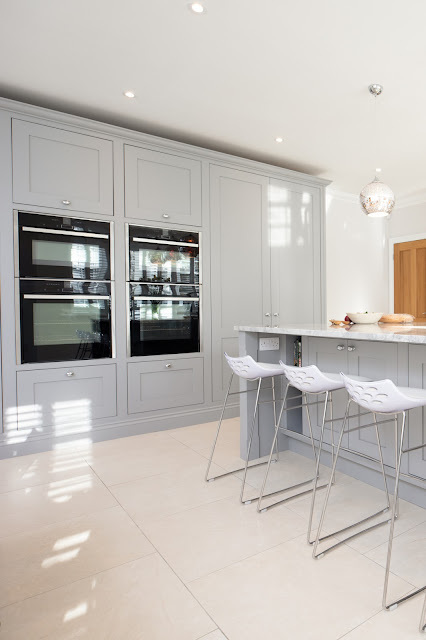 We had the pleasure of making this stunning kitchen for a lovely family in Chobham. The property went through an extensive remodel including an extension to the ground floor and kitchen space. 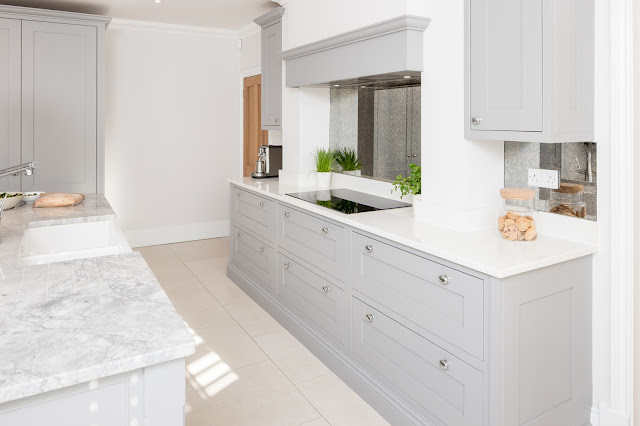 Our client has chosen a kitchen from our Marlow Collection which is a more traditional shaker design with beading around the cabinetry. The kitchen is in keeping with the style of the house and the beading provides some additional detail to the cabinetry. 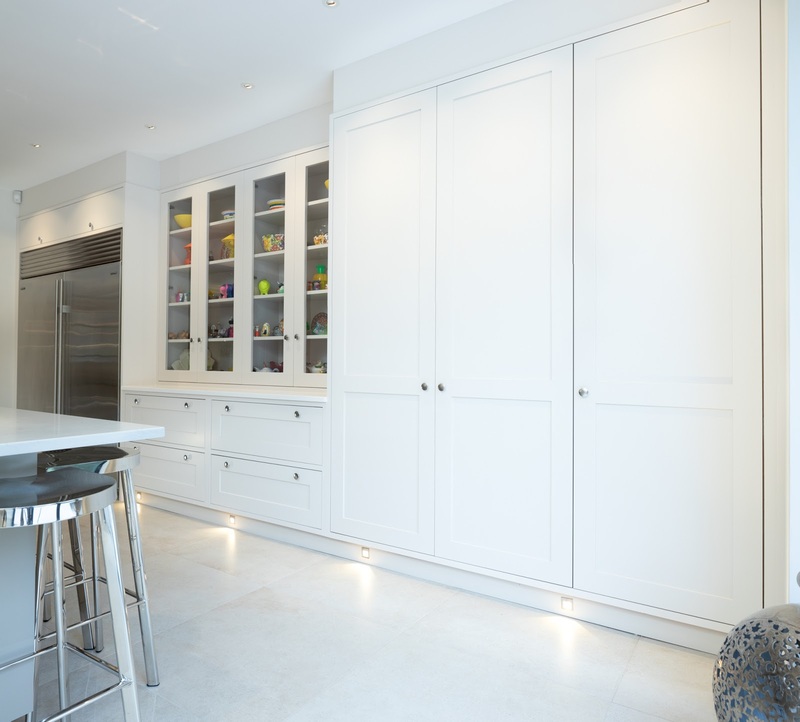 The cabinetry is painted in Little Greene Slaked Lime Mid and the island is in Dark Lead. 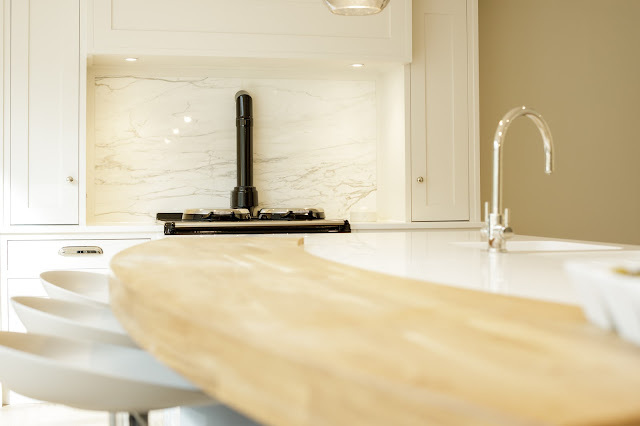 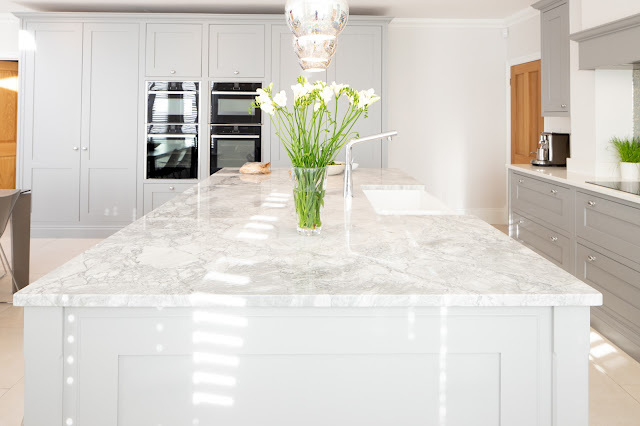 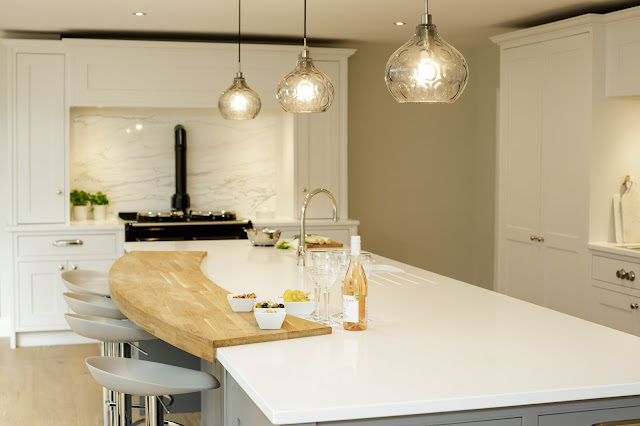 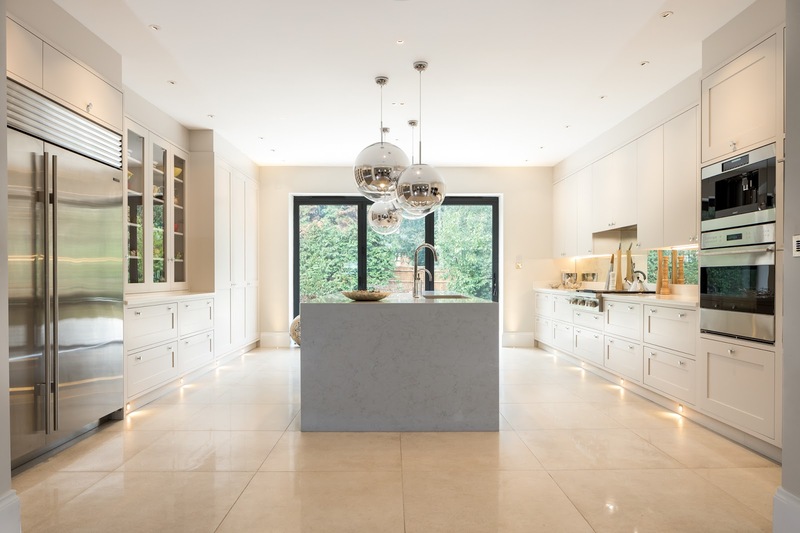 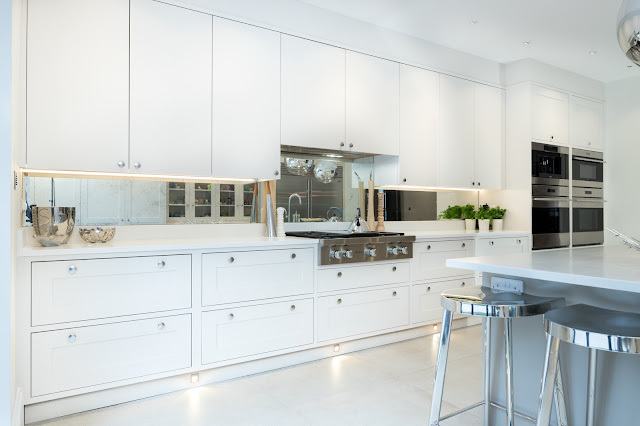 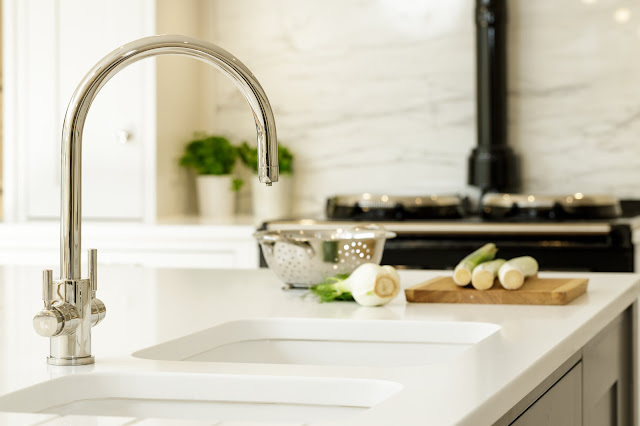 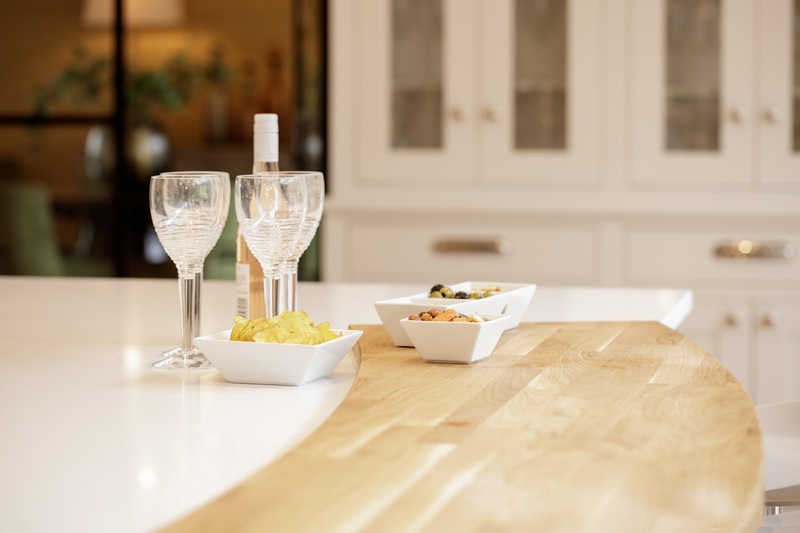 The worktops are Caesarstone Snow and the feature splashbacks are a Calacatta Oro Borghini. 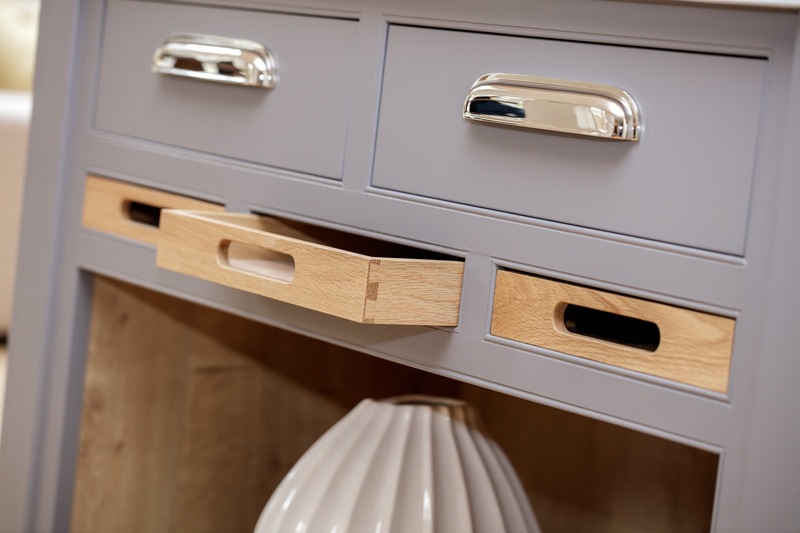 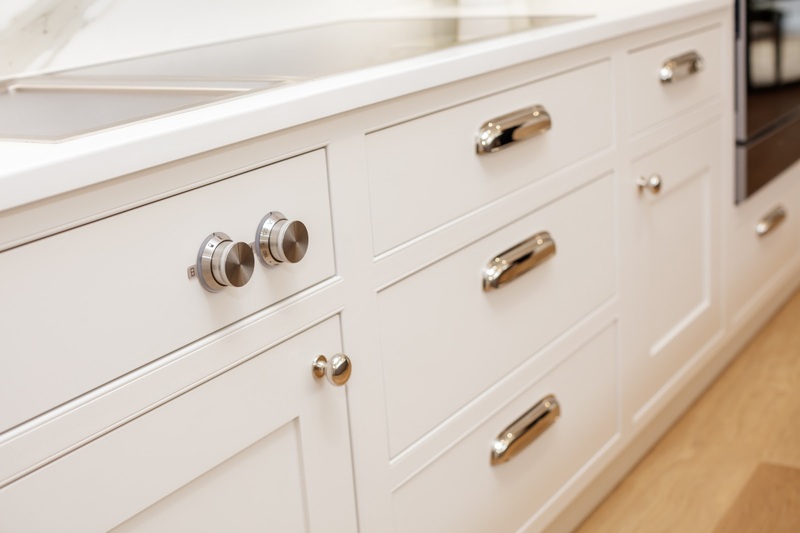 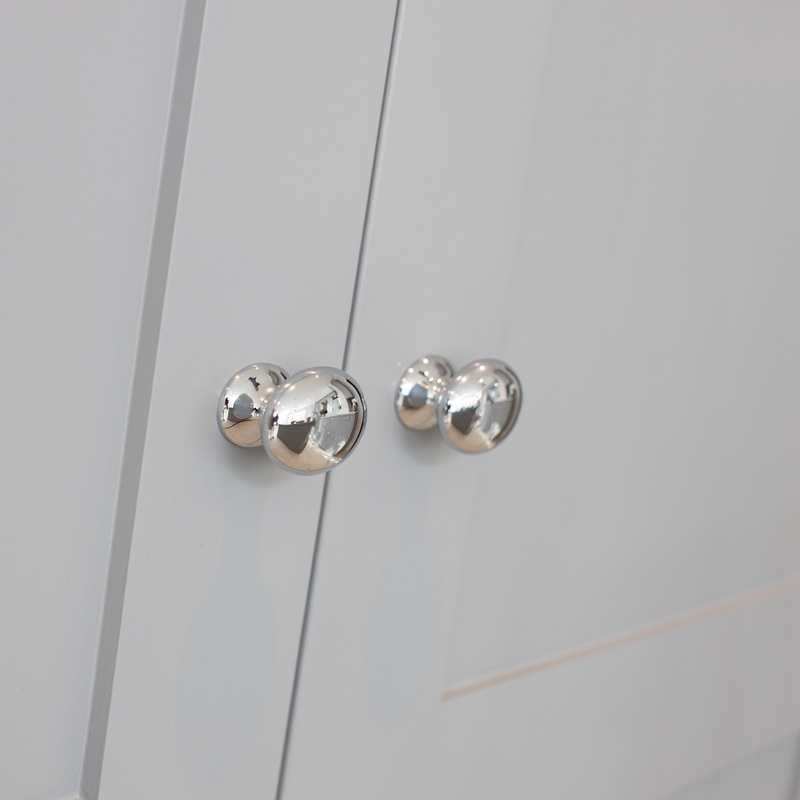 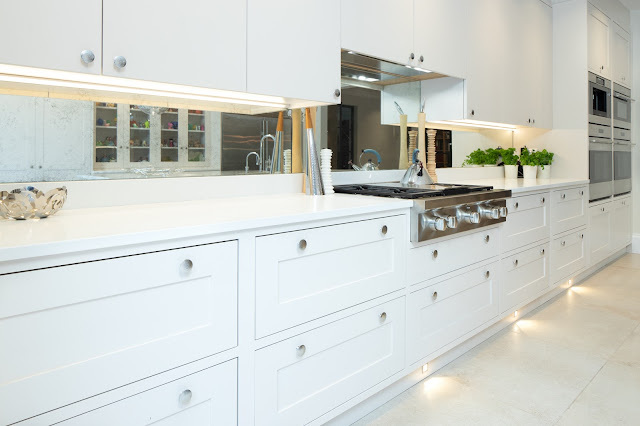 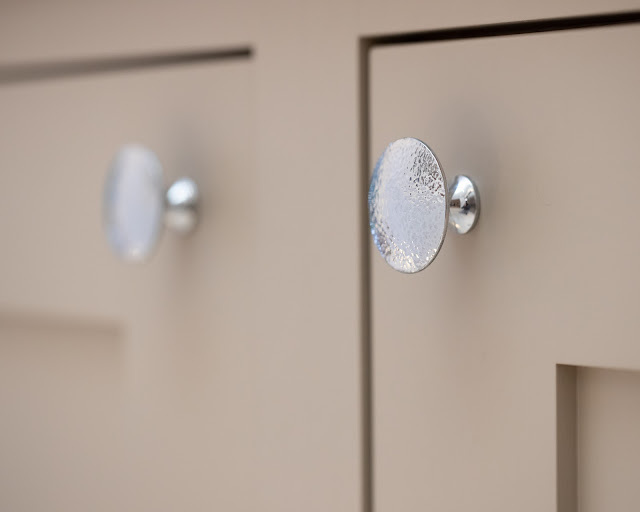 The large polished nickel handles make a bold statement and look stunning on the drawers. Not only does it look amazing, the pivot door larder is a really practical addition to the kitchen. 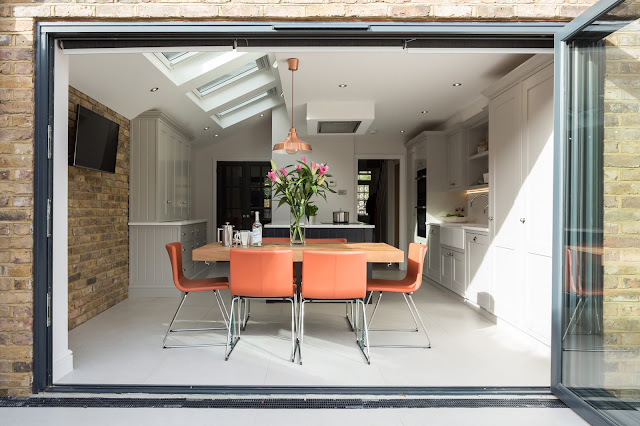 The doors can be left open at certain times in the day or closed for a more streamlined look. 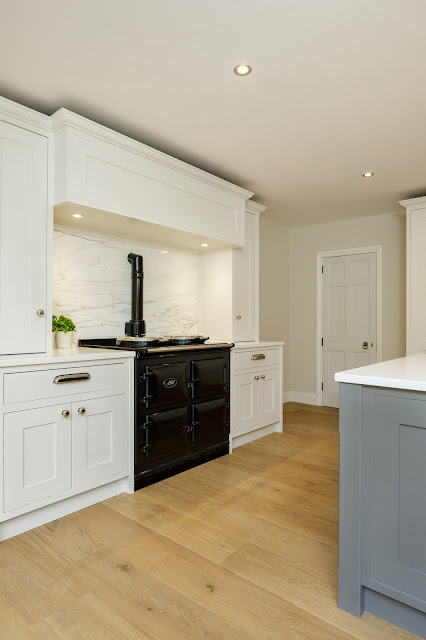 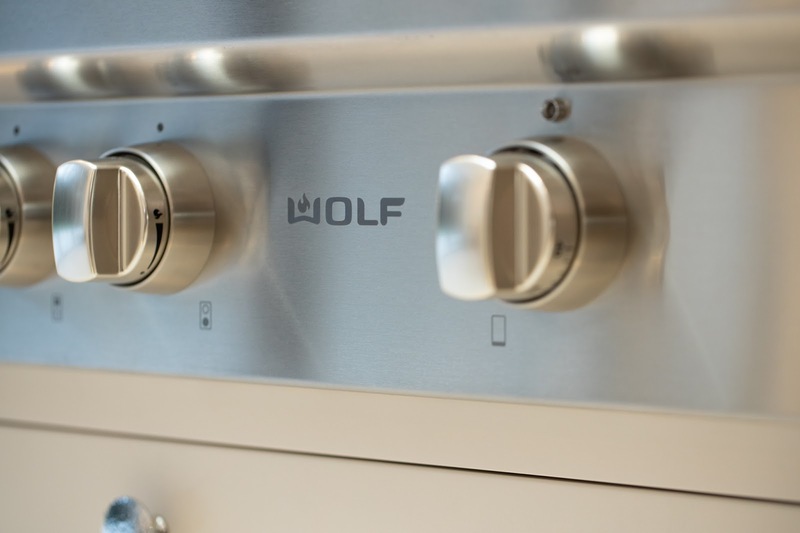 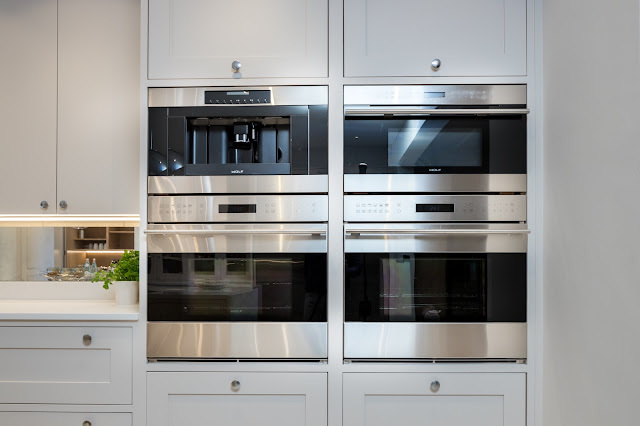 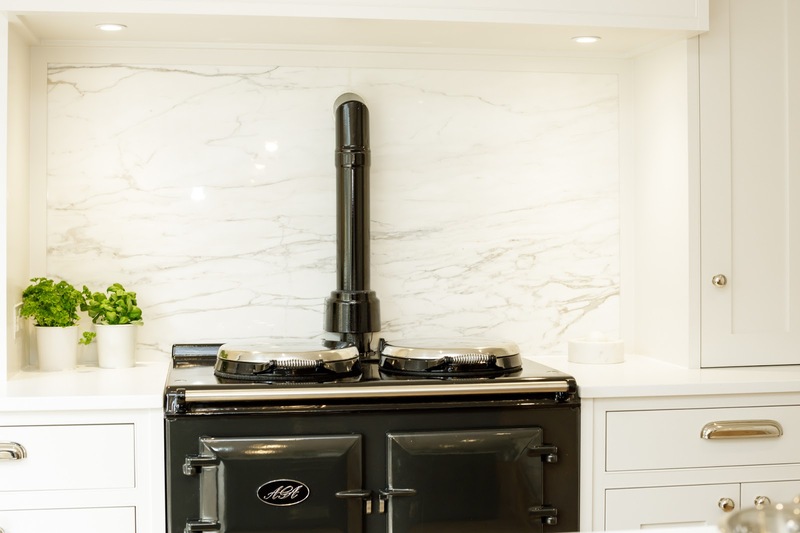 Top of the range appliances have been installed with a stunning black AGA and Gaggenau appliances throughout. 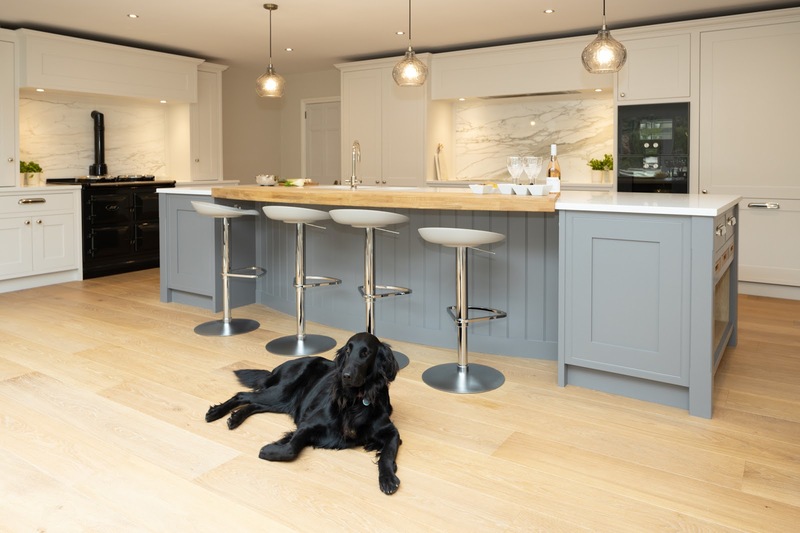 The warm tones of the oak breakfast bar tie in beautifully with the wooden floor and the subtle curve creates texture and interest in this large open space. 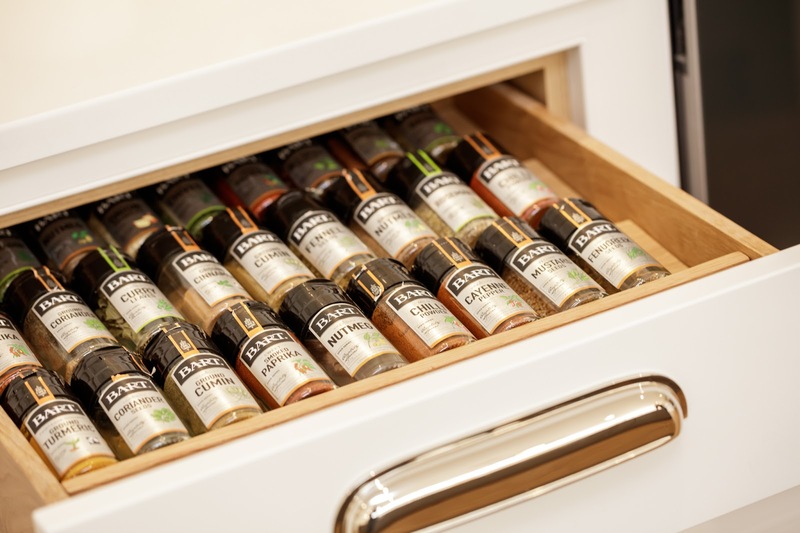 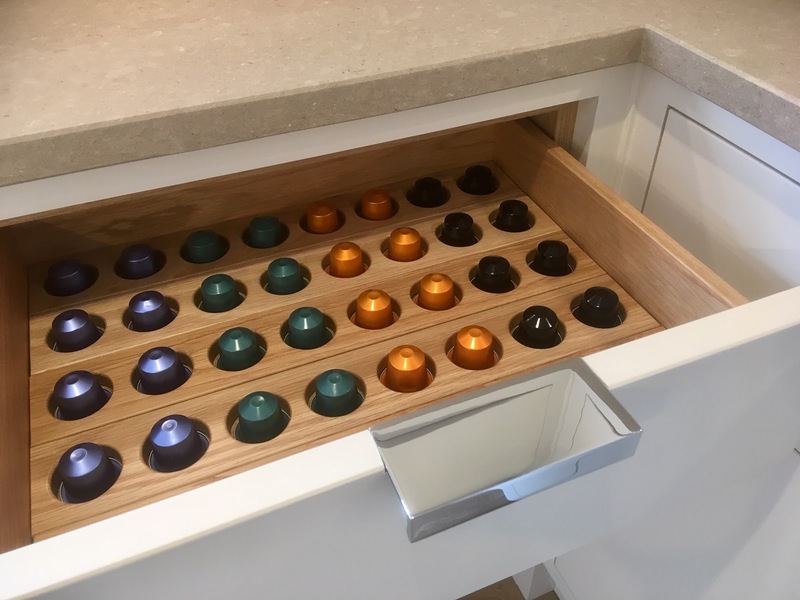 If you like your coffee, why not factor one of our super smart bespoke pod storage units into your kitchen! This kitchen looks really stunning. 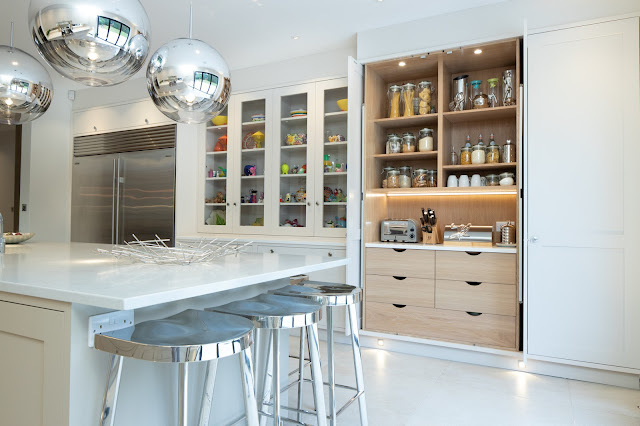 The beaded shaker cabinetry is timeless and complements the property beautifully. 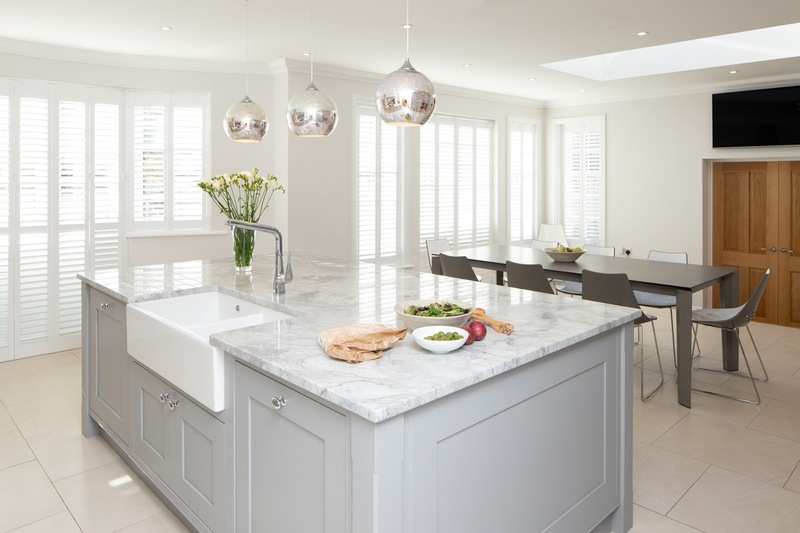 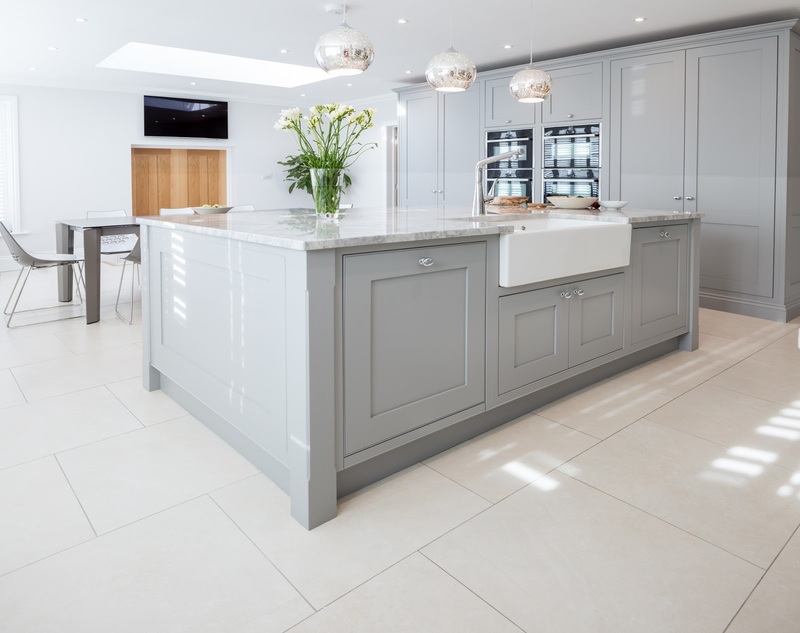 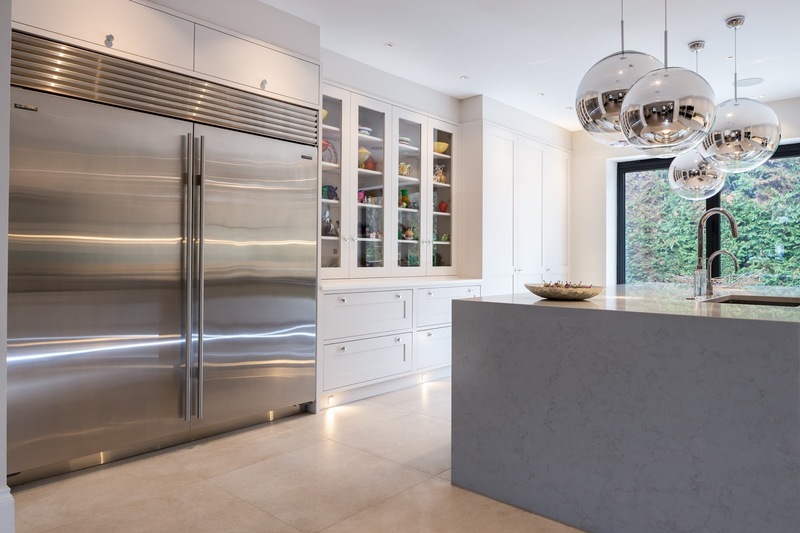 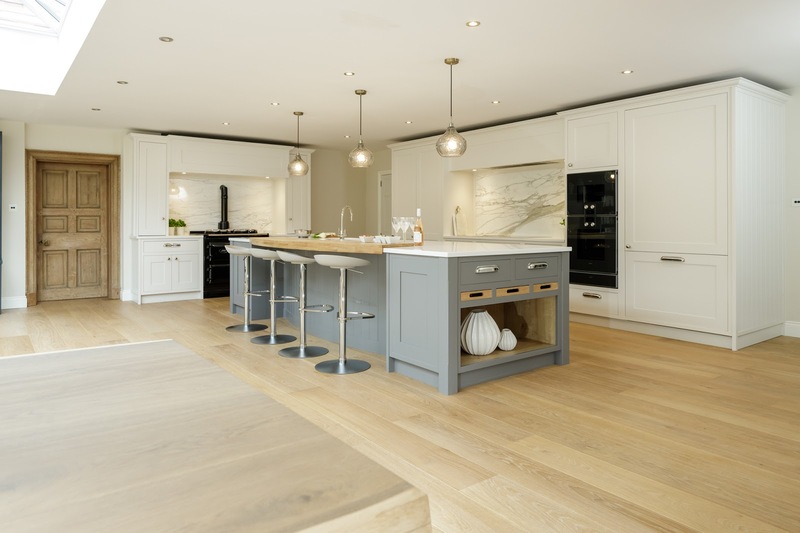 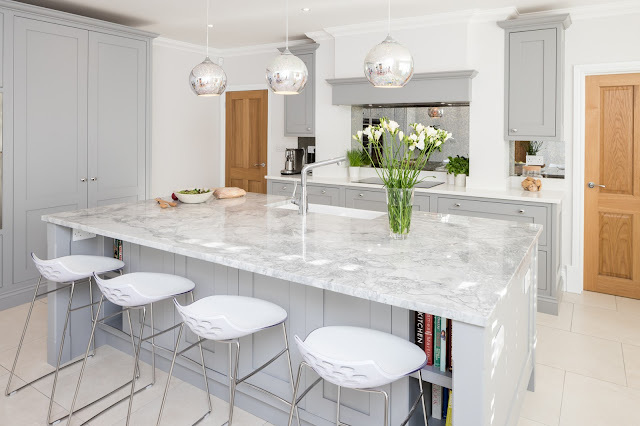 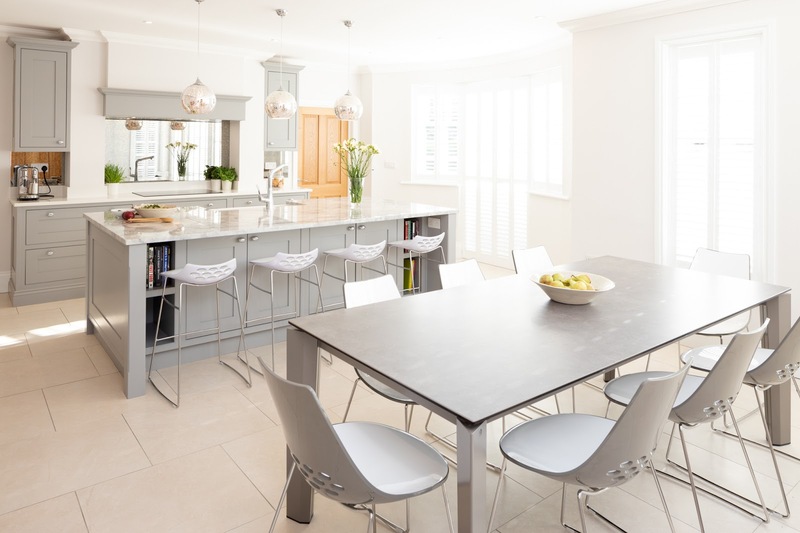 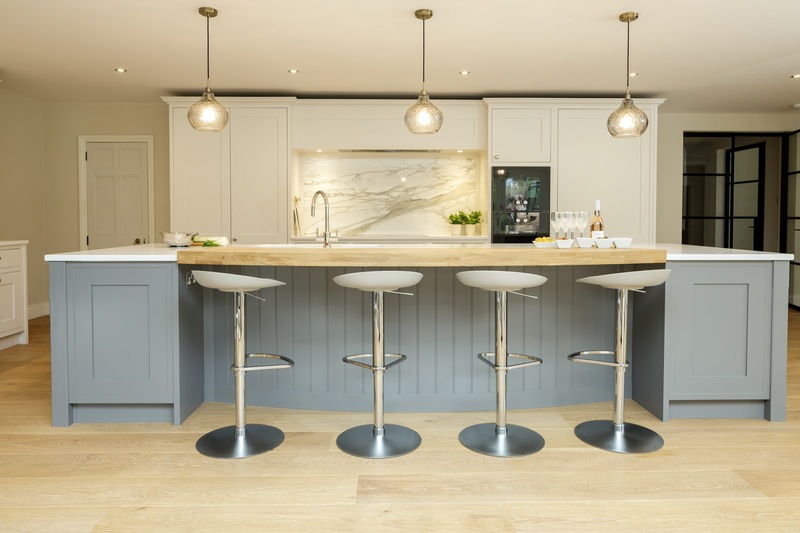 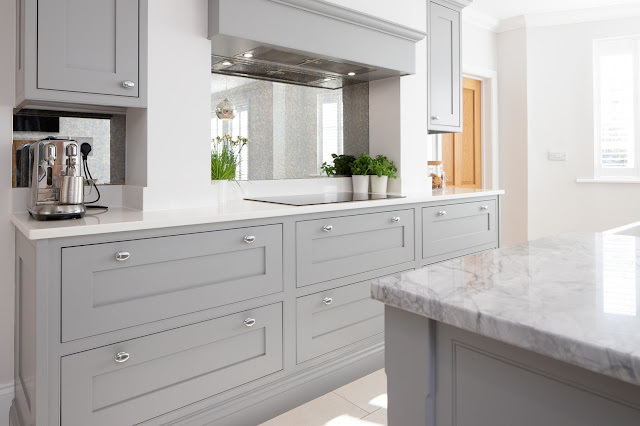 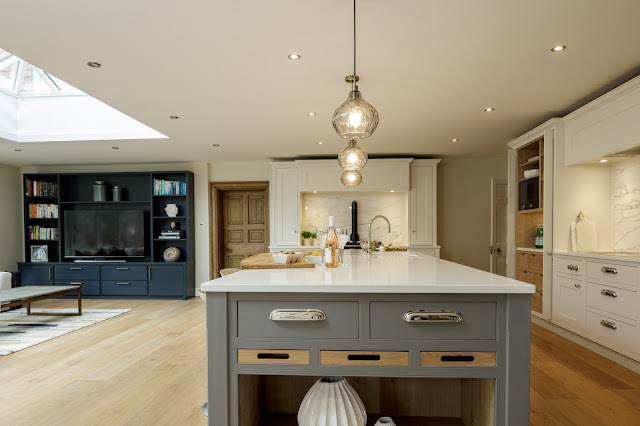 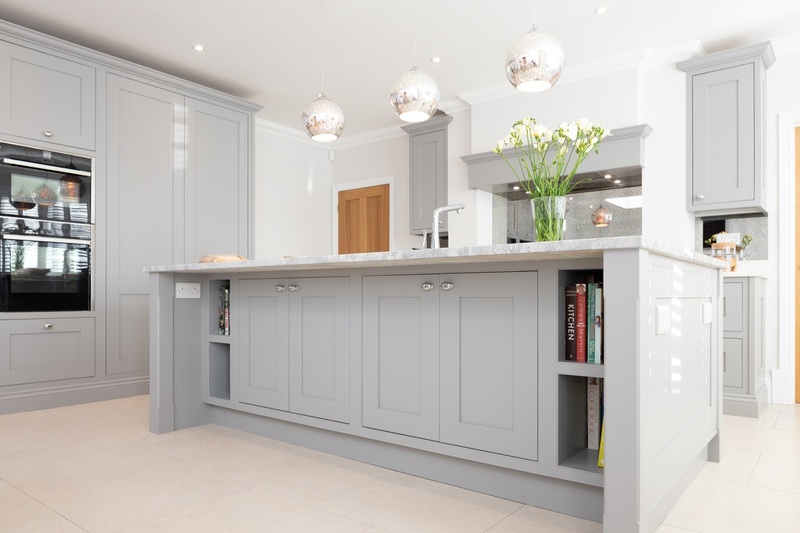 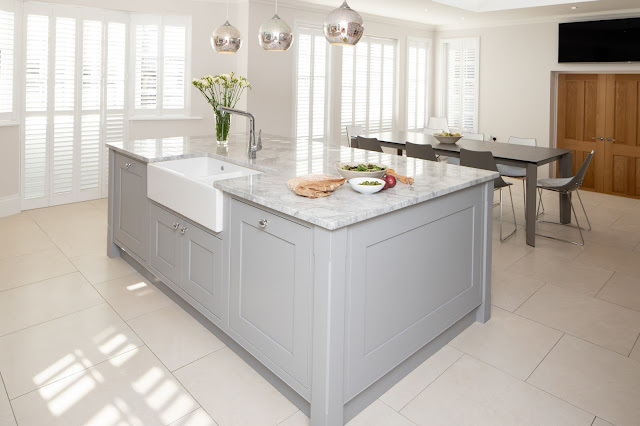 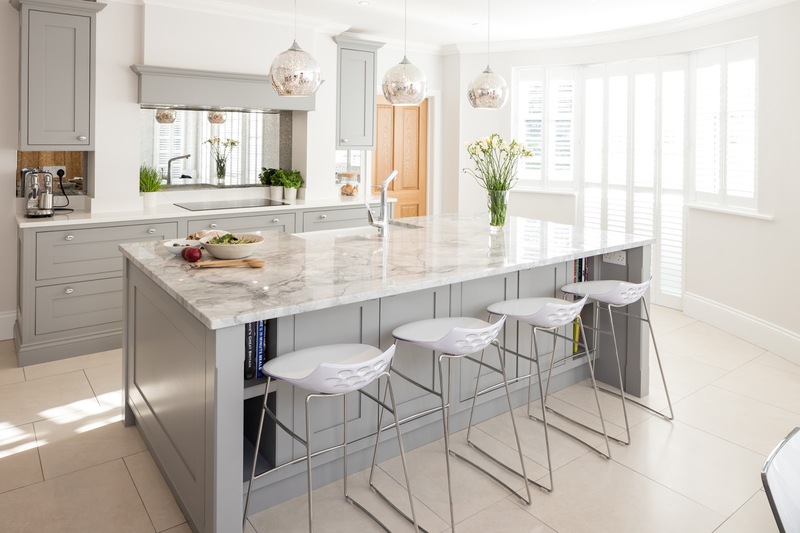 We love the colour scheme with grey units and a striking natural stone worktop on the island. 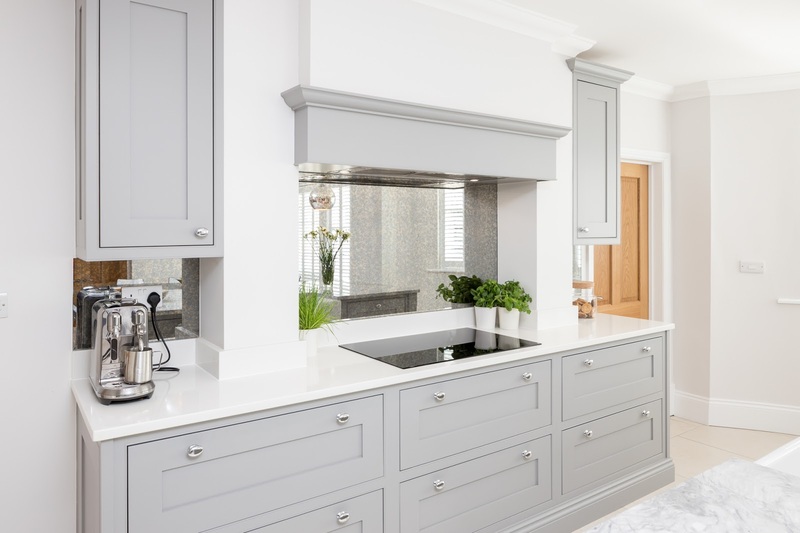 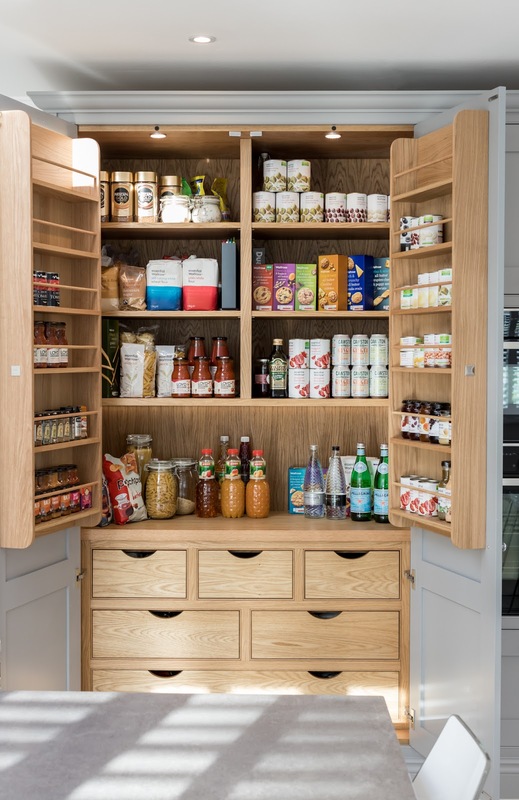 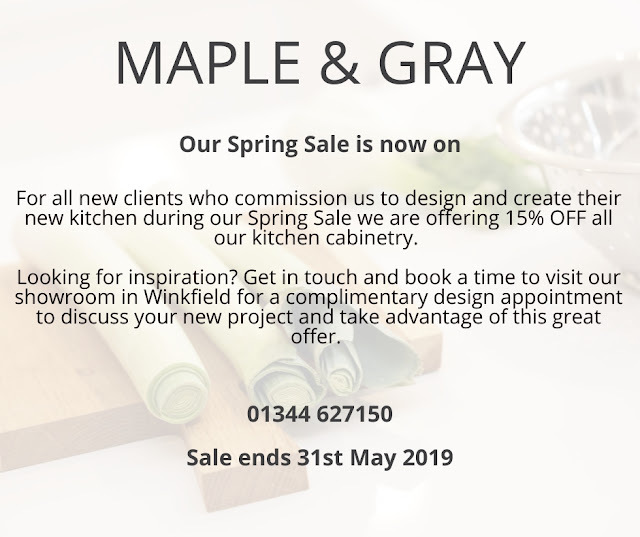 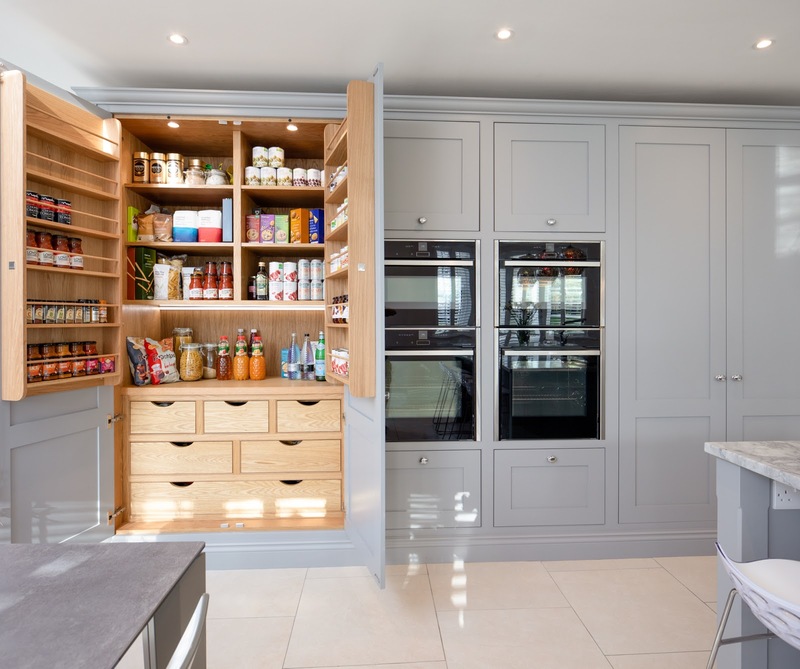 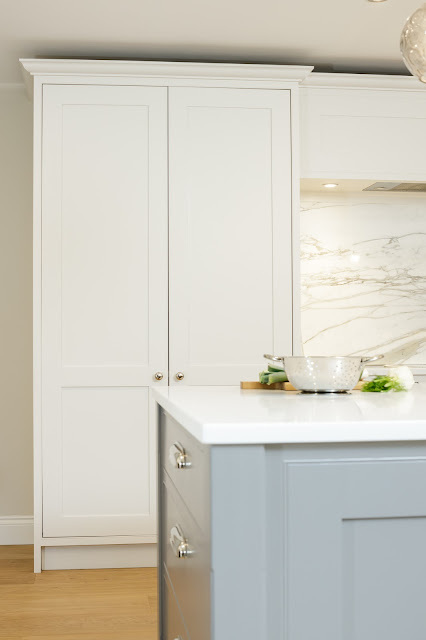 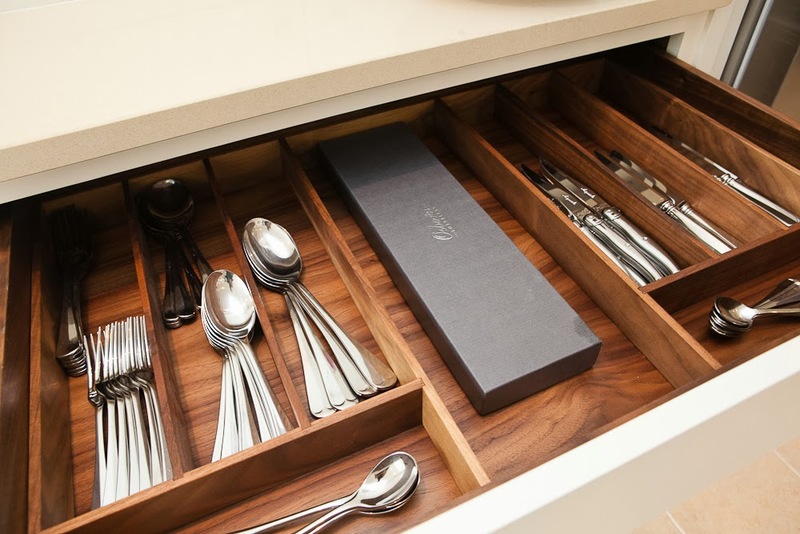 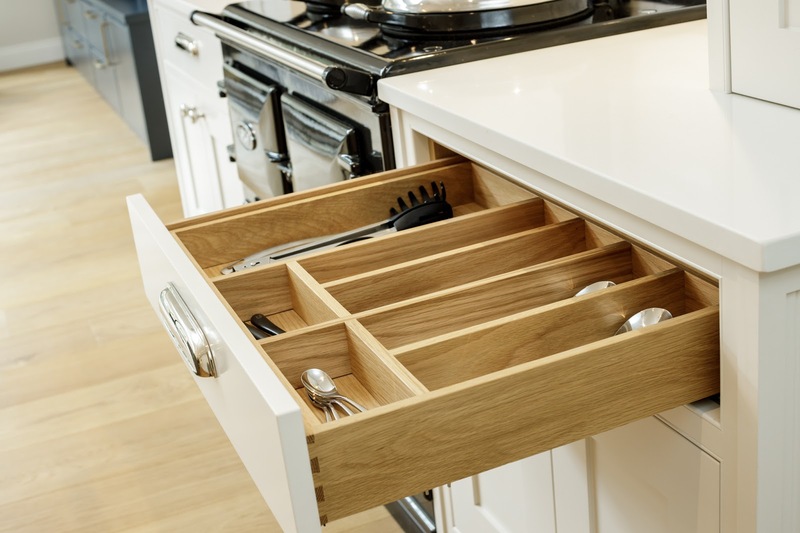 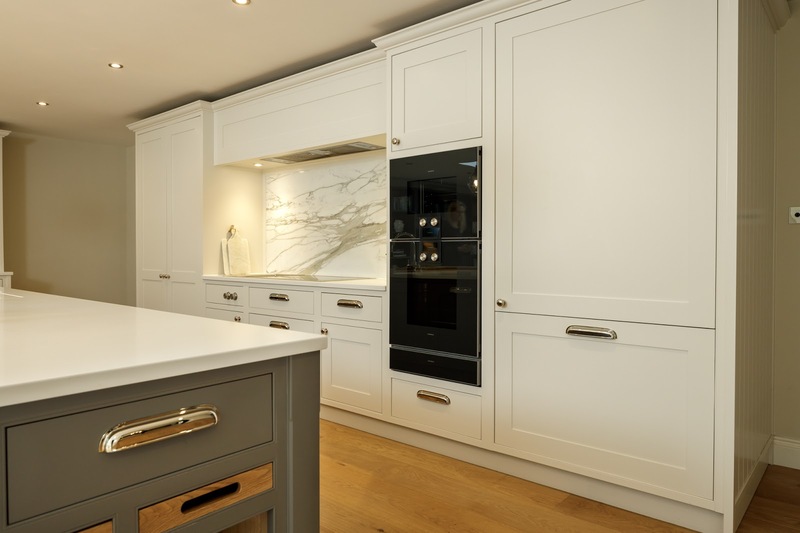 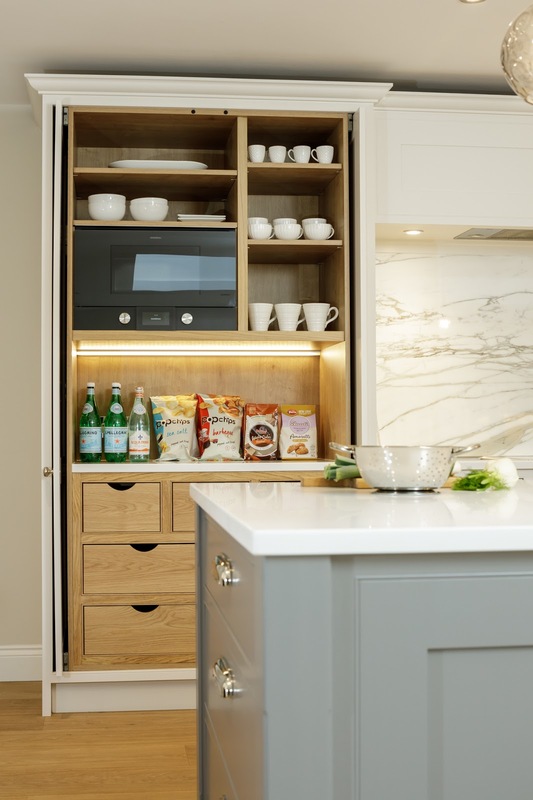 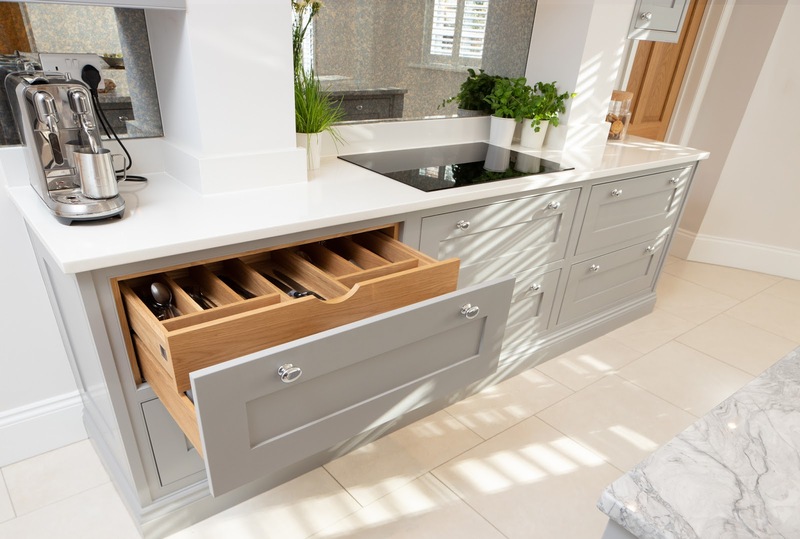 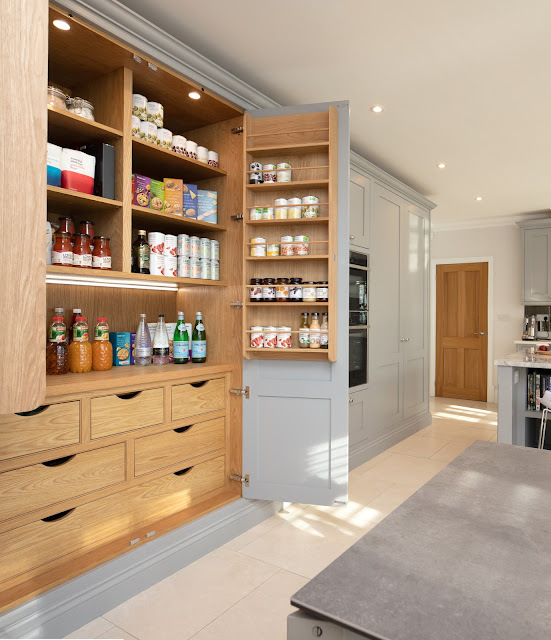 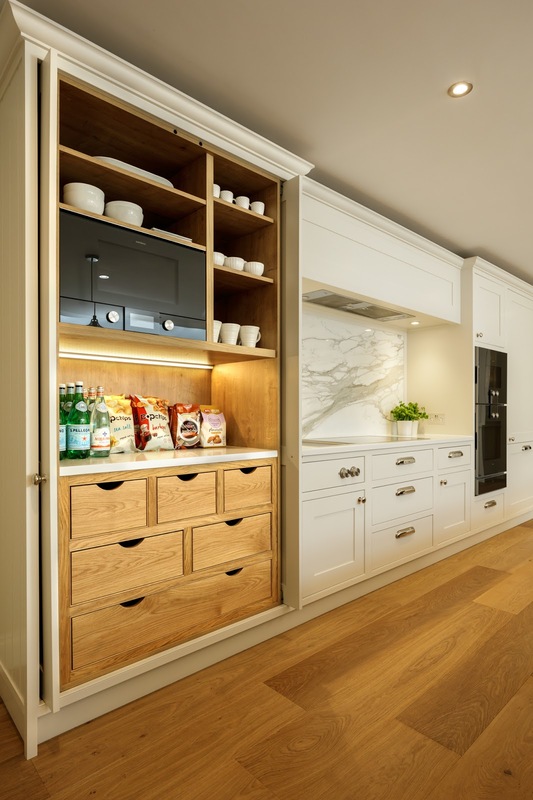 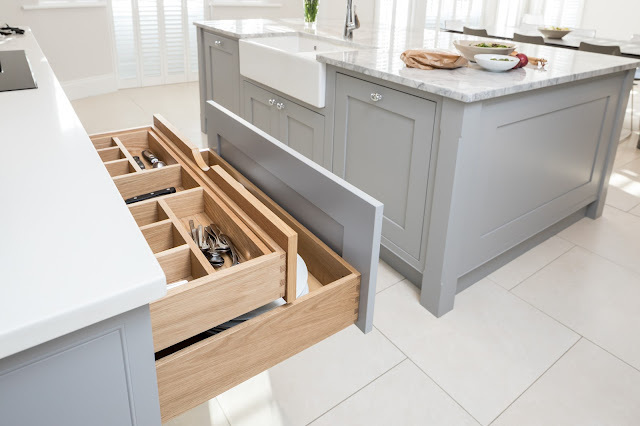 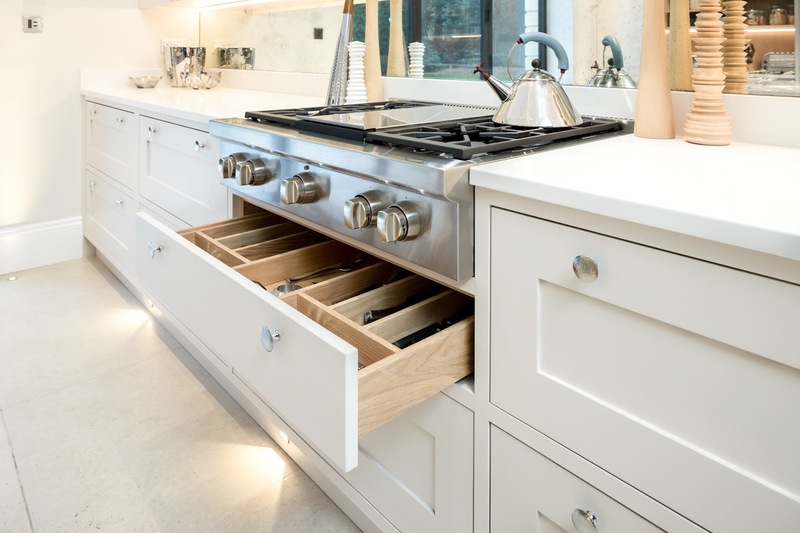 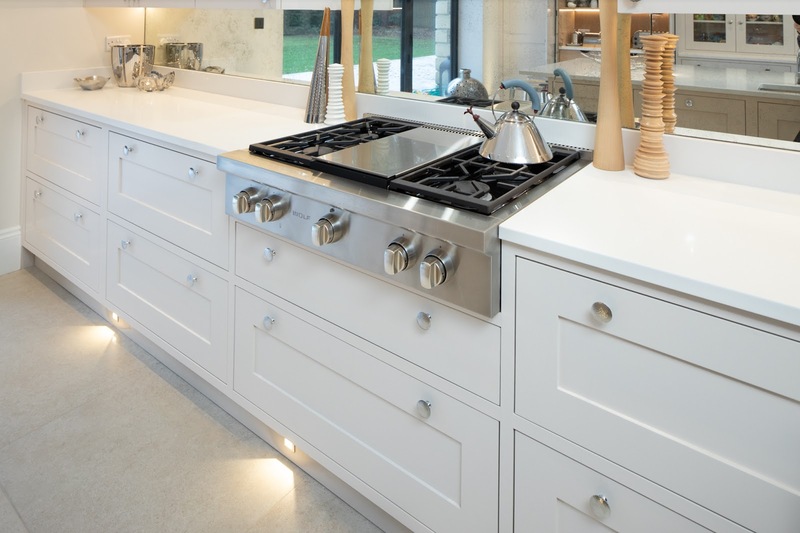 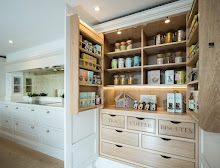 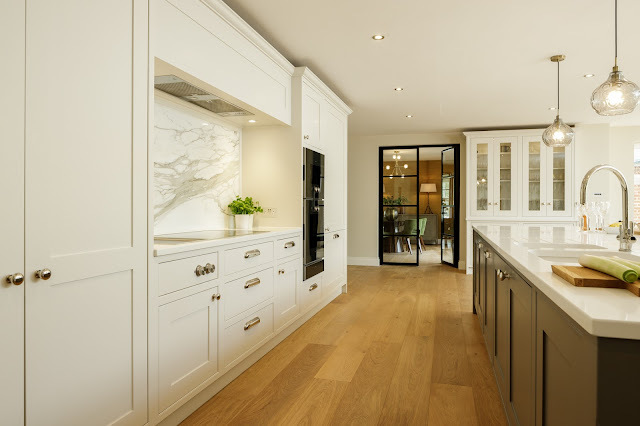 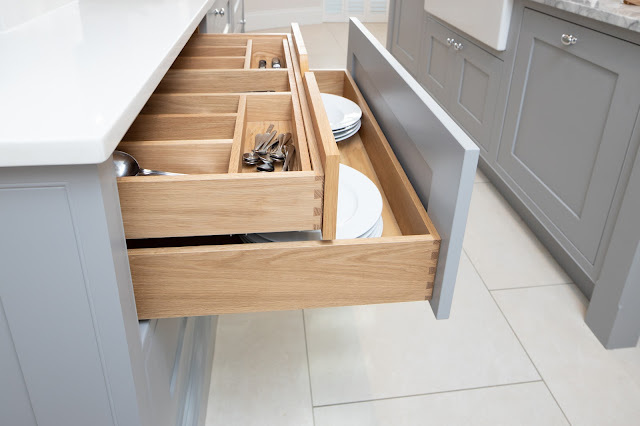 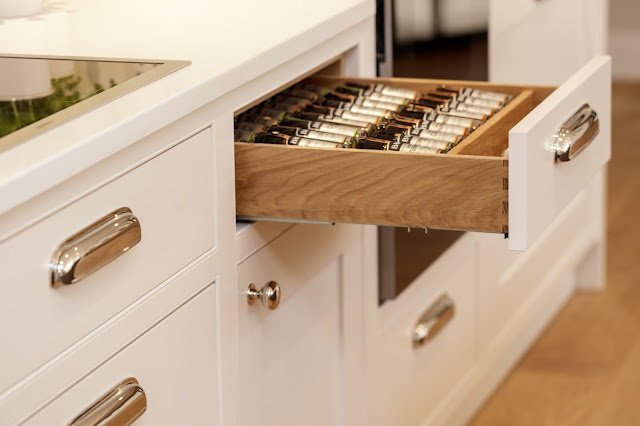 The kitchen has a stunning larder and lots of bespoke features including dove tailed drawer boxes, solid oak cutlery tray and skirting detail around the cabinetry. 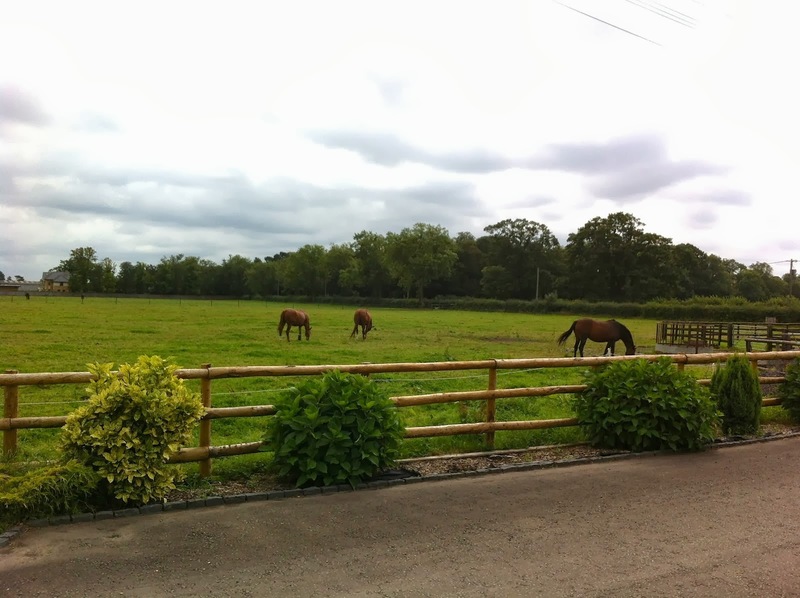 We hope you like the photos as much as we do?